What began as a premier club for only girls back in 1999, has grown into a full service soccer club for boys and girls that offers programs to players of all levels from women's (CFC Passion) semi-professional team, to Youth Developmental Programs for 8, 9 and 10 year olds. 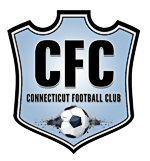 The club is comprised of distinct, geographical branches: Founding branches CFC Arsenal (Northern Fairfield County) and CFC Wolves (Hartford County), along with the CFC West (Newtown/Danbury), CFC Sound (New Haven County), CFC Alliance (Northeast CT), and most recently, CFC Chelsea (Stamford County), and CFC Sportsworld (E. Windsor/Northern CT). At U15, on the girl's side, the branches come together to form CFC United teams. With the CFC Arena, teams are able to train year-round rain or shine. United teams compete in the ECNL, the top league for girls in the country. Beginning this fall, the boys versions of CFC United will take the field for the first time. With a coaching staff that includes 15 college coaches, 7 current or former ODP staff coaches, 2 Regional Staff coaches and 2 National Staff coaches, we believe our staff is the best in Connecticut, if not the country. Emphasis is on player development in a team setting, with a focus on preparing players to pursue the game at whatever level they decide. Search through our site. We are confident you will find a team that is the right fit for you. Feel free to contact us with any questions you may have. We will see you on the field!